Join us on for another benefit for the Fremont Symphony Orchestra! And enjoy some fantastic frozen yogurt!! Drop in anytime from 1 to 9:30 pm and enjoy a personalize concoction of yogurt flavors and toppings designed and built by you and personalized to your taste! Learn more about the Fremont Symphony’s 55th season! 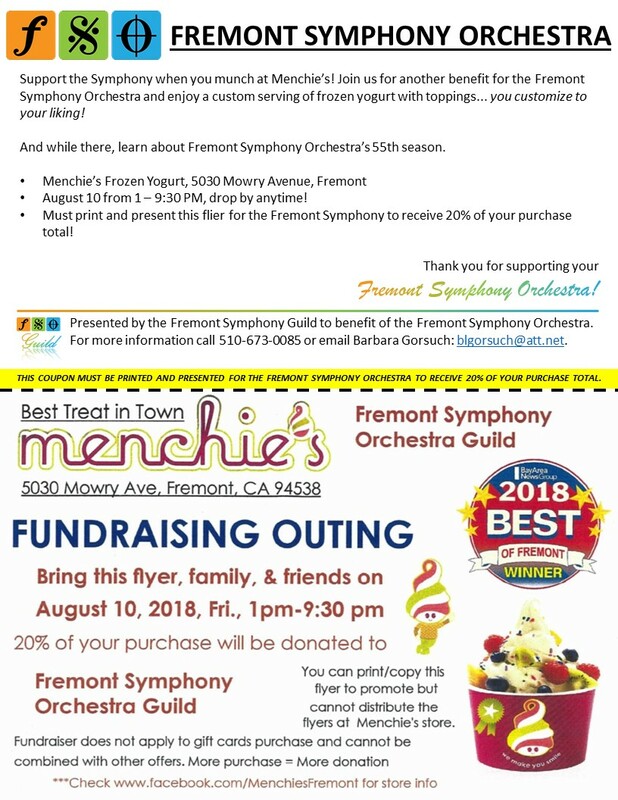 Must print and present this flier for the Fremont Symphony to receive 20% of your purchase total!